Torn in two directions, Glade must make one fateful choice - for herself and the future of humanity. Glade Io is a rebel. Having fled with her younger sisters to live among the Ferrymen, she knows there is no going back now. She is committed to the cause of overthrowing the brutal Authority, and she trains her new comrades in the art of combating Datapoints like herself - those tasked with the Ferrymen’s destruction. Meanwhile Ferryman leader Kupier longs to travel the stars with Glade, free from constant war, but to do that, he believes they must strike The Authority at its heart: the ancestral homeworld of Earth. Glade is hesitant; she hopes taking out the Datapoints living on the Station will be enough. But when the time comes, Glade faces the specter of killing her former friends in cold blood and her former mentor Dahn Enceladus tells her that The Authority has eyes and ears within the rebel stronghold. 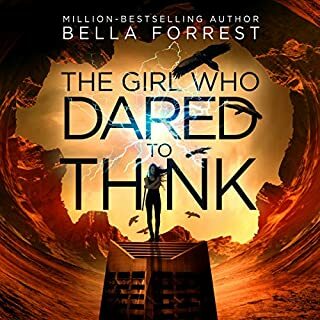 Now Glade faces a dilemma: sabotage The Authority from within, or return to fight alongside the Ferrymen, possibly putting her sisters’ lives in danger. This book does an excellent job of finishing the series and bringing a sense of closure. But a long the way there's twists and hard decisions and challenges. 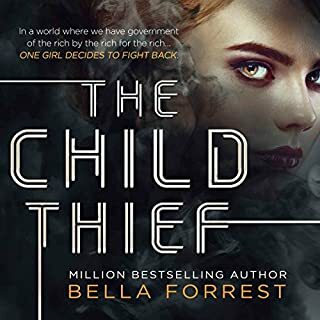 This book really brought home how much character growth has been a key part of the series especially for Glade, the difference between who she is at the beginning of book one and the end of book three is striking. Along the way she's learned to think for herself, learned how much she does and does not understand about emotions and being human and leaned what she will and won't sacrifice and about morality. It's been an enthralling journey and one I've loved listening to. 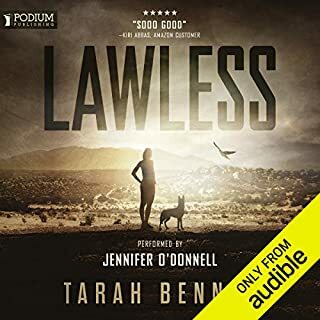 This last book held me enthralled, I listened to the book in one sitting, I couldn't bring myself to stop partway even though I had other things i needed to do, just as well today wasn't a workday. Stacey once again did a great job on this book, the character voices have been consistent, clear and believable from the beginning of the series to the end and the same dynamic delivery from the first two books is present for this book as well. If you made it through the first two books I think you'll want to continue with this one. As with the first two books my biggest gripes would be the description of technology and some of the character behaviors/actions. With that said, it was an enjoyable listen and worth a listen/read if the overarching story-line interests you. I have no complaints about the narration by Stacey Glemboski. Narration was solid through all three books and I would have no problem recommending this narrator. 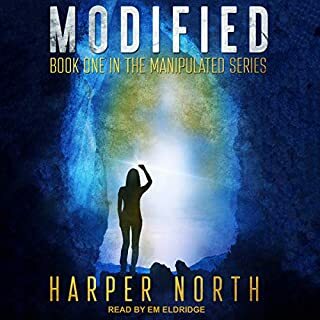 If you enjoyed her narration for books 1 and 2 you know what to expect and will not be disappointed; her performance is just as enjoyable in book 3. I loved falling into this world and letting mine pass me by. Throughout the entire story I was tense and nervous with the characters. The levels of emotion from this book made me fall even more in love with its characters and worry and hope and cheer with them. I love how wholey this book sucked me in and took me on a ride because it was so worth it. Stacey's voice made it so much easier to fall into this world and helped me to be so much a part of it I swear I was there watching it all. Absolutely loved this book and the entire series that I'll definitely be reading it over and over. I love this story. Ones like this always gets me thinking about our future. All the characters are amazing and they each bring a very unique addition to the whole thing. Being an outsider and still finding a place to belong. Loved it. Just as good as the 1st 2 books! Glade's story continues with the Ferrymen and their attempt to stop the Authority from having complete and total control over their lives. Although the author does a very good job of explaining the 'past' so that it is not necessary to read the first 2 books, I highly recommend it! This is a VERY GOOD dystopian series! Actually, one of the best. 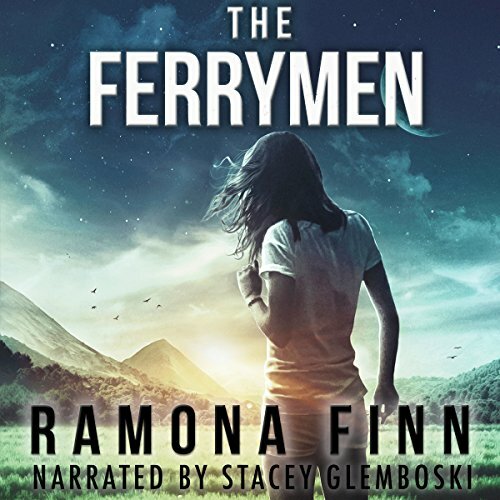 I listened to the audio book version of this book just as I did with the 1st 2 book and Stacey Glemboski is an excellent story teller. The narration is easy to listen to, her characters are distinct and the cadence and timber of her voice is perfect. All of that allows for an excellent listen! I highly recommend both this 3rd book of the series, but suggest 'The Culling' and 'The Authority', as well!! the narrative changes are perfectly timed, glade is such a fantastic character to follow and written in a way that is understandable and makes you able to fully empathize with her. the characters were incredible and story line was great, descriptions were not too long but very informative. the story was AMAZING. Listening primarily to post-apocalyptic books, I wasn't too sure about this series going into it. However, the reviews were good and I love Stacey, she is fantastic! I was not disappointed. What a great concept for a fictional but not completely off-the-charts story. 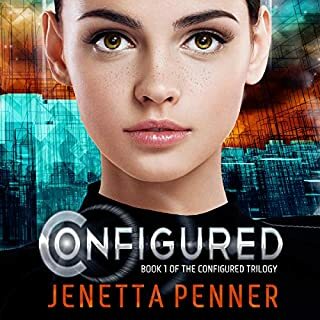 I'm not much of a sci-fi fan, but this seemed plausible in the distant future, still maintained an earthly connection and the characters were fantastic. Stacey does such a good job of giving each character their own voice that one can see each in their minds eye as to what they look like and they're facial expressions. This was my first Ramona Finn book and I will definitely check out her other work. 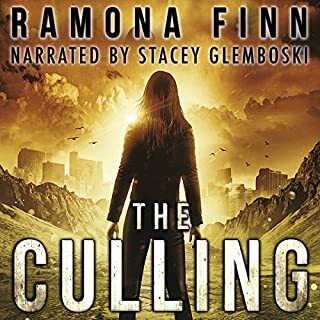 Ramona Finn was an unknown author to me until I stumbled upon the first book in this series. I was looking for a change in my usual books and reading the summary of book 1 just hooked me right in. Once I was done I moved on to book 2 and then on to book 3. I thought the narration was great all throughout and that the overall story was just wonderful.